While CBS was taking a break and airing reruns, cast and crew were working on more episodes. While cast and crew were working to wrap up more episodes before Christmas Break, the audience had to wait two weeks for new episodes. Meanwhile, CBS launched a new look for their shows on social media. The Reboot also got a new header and a new icon on November 28. Additionally, CBS started a look back at some of their favorite tv-show-moments this year. The Reboot makes an appearance in their show-reels for "Stunts" and "Bromance". Executive Director Peter Lenkov shared a picture of MacGyver and Jack on a road trip and of Jack with a female character - a character who's name Lenkov didn't want to reveal yet. He did reveal that he had lunch with Henry Winkler, though. Also, Jack seems to drive a green minivan now. Lucas Till shared another picture of MacGyver doing bad, bad things - this time of posing with terrorists. 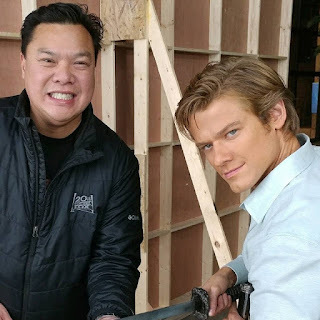 Lucas is also seen in a picture with Extra Lyman Chen, who complimented cast and crew as being one of the friendliest he had ever had the pleasure to work with. Chen is listed for Episode 11 and it looks like there are Ninja Swords involved. Tracy Spiridakos shared what Amy Acker and the rest of the cast is up to between set ups. Meanwhile, the script writers were busy playing with drones or testing handcuffs - hopefully for new MacGyverisms. Amiah Miller shared a picture of herself doing voice-over work for this week's Episode 10. A1 Management Group posted a short video of Sandrine Holt filming a scene in a hotel with a tactical team. They also shared pictures of the military guys having fun posing for pictures. We got a first look at a glossy black helicopter (probably for Episode 13) and at the lady pilot (played by Zulay Henao) that will likely crash it. Feels like MacGyver and Jack will come to rescue her, though. The helicopter must have made quite an impression on set - several crew members (e.g. Cornell Willis or RoxPaul) and the grip crew shared pictures. 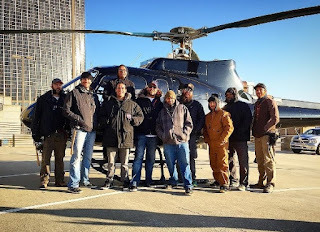 Lucky Bypassers got to see cast and crew filming scenes with said helicopter on a rooftop in Downtown Atlanta on December 7. According to Todd Edwards who posted some pictures on Facebook, MacGyver gets beaten up, wrapped in blue tarp and tossed in - and then people start shooting at the chopper. Apparently the heavily armed "terrorists" looked so real that they scared the office workers in the building. This week, the crew had to endure a few days of shooting outside under heavy rain. Several crew members posted pictures of their muddy shoes or of themselves in wet gear. Technical Consultant Rhett Allain wrote another piece on MacGyverisms - this time about "How to make an UV-light out of your phone's LED flash" as seen in Episode 8 (Corkscrew). Additionally, he appeared on the "Lab Out Loud Podcast" on November 28, talking a bit about working on the show. 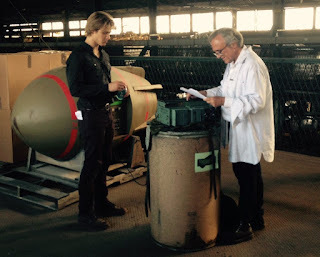 Allain also gave some insights for an article on Popular Science about "5 MacGyver Hacks you should try at home" (laser microphone, fire starter, soda bottle gas mask, DIY eye in the sky and Leyden jar battery) and "2 you really shouldn't" (car battery arc welder and thermite lance). 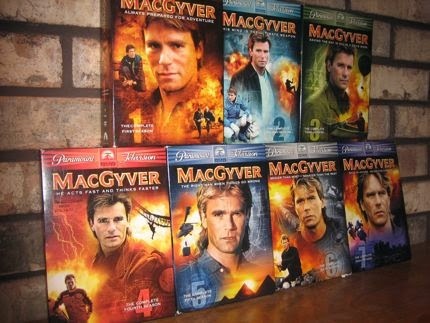 I honestly don't remember some of these MacGvyerisms - so either I'm getting old and forgetful, they were from deleted scenes or the episodes haven't aired yet. During the break, CBS aired reruns of Episode 3 (Awl, 4.09 millions) on Friday and Episode 4 (Wire Cutter, 4.61 millions) on Sunday. For the occasion, script writer John Turman shared a new BtS-pic from Episode 4. I've been wondering why CBS chose these two episodes to draw new viewers in. To catch up on the backstories of the recurring female characters (mainly Nikki, but also Riley or Amy Acker's character Sarah Adler), the pilot (The Rising) and Episode 2 (Metal Saw) would have probably made more sense - but the ratings of these two episodes are also the lowest on IMDb. SpoilerTV provided us with press releases and/or official stills for Episode 10 (Pliers) and 11 (Scissors). They also revealed the title for Episode 12: "Screwdriver". Stills and Synopsis for Episode 10 remind me a bit of the "Ugly Duckling" Episode of the original show. Interestingly, Episode 11 will be directed by Stephen Herek. 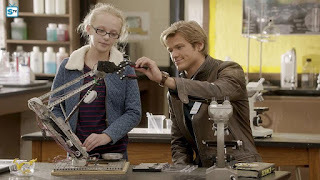 Many, many years ago, Herek had directed the unaired pilot episode for "Young MacGyver". Considering how many people - mainly "Supernatural" Fans - are still commenting and being confused about Lucas looking like a young Jared Padalecki, I found this kinda funny. We finally got a preview and three sneak peeks of Episode 10 (Pliers) on December 7. 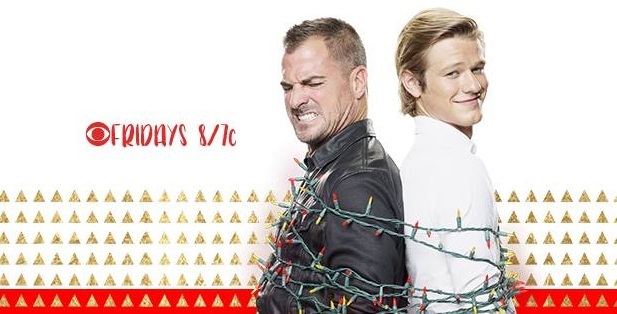 It seems like the storyline will focus a bit more on the friendship between MacGyver and Jack - or the so-called "bromance" that has been advertized endlessly in the promo cycle before the premiere of the Pilot Episode. Central Casting Georgia has made some more casting calls; e.g. 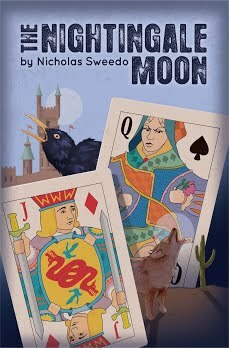 for men who've had tactical defense and gun training; for Mom, Dad, and a 6 year old blonde girl to portray a family and for a "short Caucasian female" between the height of 4′ 3″ to 4′ 11″. The agency stated that this would be a regular stand in gig, working until mid-March. 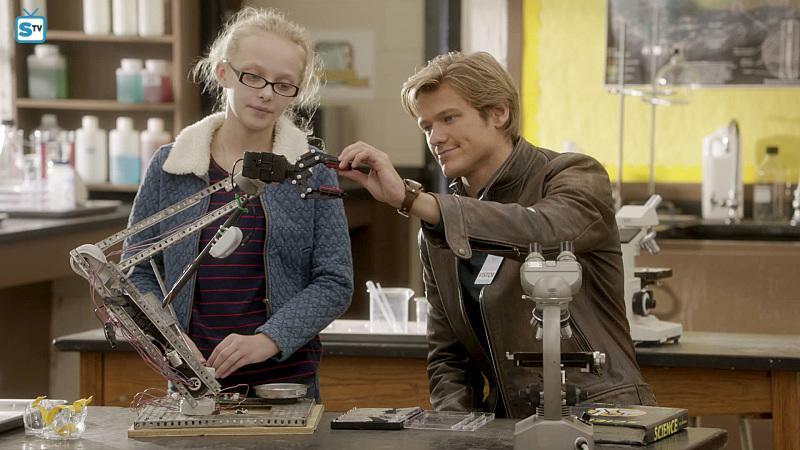 So it seems like there will be a young recurring character - does New MacGyver have a half-sister, maybe? As Matt Webb Mitovich revealed back in November, we will get to know more about Jack's love life next year. This fits with the picture by Peter Lenkov and the synopsis for Episode 11, because we will meet Riley's mother. The Reboot has already inspired many fans to share their art, stories, collages and videos; especially during the break. Because FanFictionNet counts the reboot within the same category as the original show, we only know the total amount of stories (379). On Archive of Our Own, the reboot has its own category and hit the story count of the magical 100 on December 6.